Most people have heard the story, usually imparted as a thing that "really happened to a friend of a friend," of the dotty grandma who tried to dry her damp poodle in the microwave. 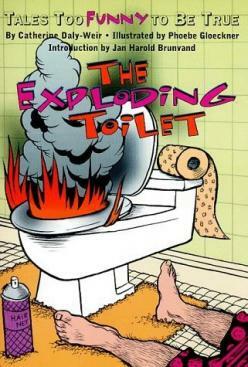 The dog exploded, sad to say, and Grandma has never been the same since. The story isn't true, of course; it's an urban legend circulating since the 1970s. It describes a mishap that could have happened, but we have no evidence, nor any good reason to believe, that it did. Plus, there's a moral: newfangled technologies, albeit a boon to humanity, can also be exceedingly dangerous when misused. It's a horror story with a point! Shamrocks Banned In Boston ? 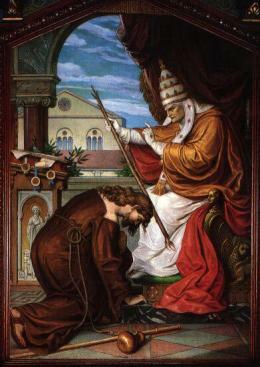 about Tannhäuser and Pope Urban IV. Urban Legend: Little Mikey of LIFE cereal fame died from the explosive effects of mixing Pop Rocks candy with soda pop. Origin: Invented in 1956 by General Foods research scientist William A. Mitchell and introduced to the general public in 1975, these fruit-flavored nuggets delighted kids with their "fizzle." Small amounts of carbonation were released when the candy was placed in the mouth, causing a mild "exploding" sensation and resulting in a satisfying "sizzling" noise kids loved. Though the confection had been extensively tested and found safe, the combustive candy still alarmed residents in Seattle. The (U.S.) Food and Drug Administration set up a telephone hotline there to assure anxious parents that the fizzing candy would not cause children to choke. When I was a kid, it was taken on faith that the sewers of New York City were populated by albino alligators, descended from kids' pet reptiles that had been flushed down toilets when the kids got tired of them. Read the "real" story here...aren't they cuddly? 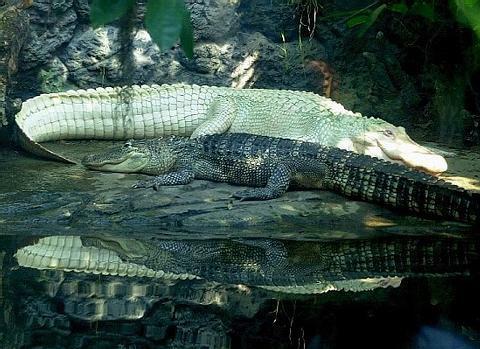 The alligators in the photo, by D. Byrd, are at the Cincinnati Zoo. It looks like la dolce vita. This doll is from Janesville, Minnesota. 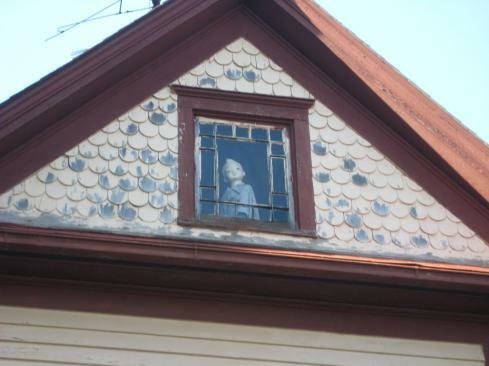 I have heard variations of this story in Rhode Island and in Connecticut, where my aunt and uncle live near a house with a porcelain doll staring from the attic window. Creepy! 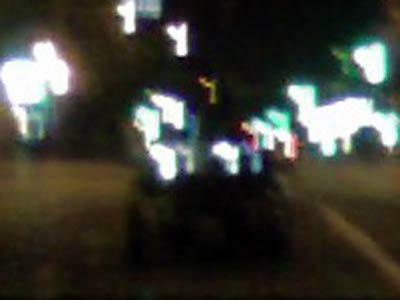 Don't flash your headlights at this car! My mother told me this happened to my great-aunt's friend. I'm sad that I missed the urban legends. Some great contributions! The Lemp Mansion is alleged to be one of the America's most haunted buildings. In the 1980s, it was ranked in the top nine haunted places by Life Magazine. Reputed paranormal incidents include “doors opening, shutting, locking, and unlocking on their own; candles lighting on their own; and a glass flying off a bar and crashing to the floor. Visitors to the mansion have reported feeling as if they are being watched, or sensing an atmosphere of sadness. Spring-heeled Jack is a character in English folklore of the Victorian era who was known for his startling jumps. The first claimed sighting of Spring-heeled Jack was in 1837. Later sightings were reported all over England and were especially prevalent in suburban London, the Midlands and Scotland. 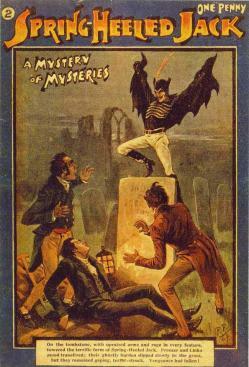 There are many theories about the nature and identity of Spring-heeled Jack. This urban legend was very popular in its time, due to the tales of his bizarre appearance and ability to make extraordinary leaps, to the point that he became the topic of several works of fiction. Spring-heeled Jack was described by people who claimed to have seen him as having a terrifying and frightful appearance, with diabolical physiognomy, clawed hands, and eyes that "resembled red balls of fire". One report claimed that, beneath a black cloak, he wore a helmet and a tight-fitting white garment like an oilskin. Many stories also mention a "Devil-like" aspect. Others said he was tall and thin, with the appearance of a gentleman. Several reports mention that he could breathe out blue and white flames and that he wore sharp metallic claws at his fingertips. Robert is a doll that was once owned by Key West painter and author Robert Eugene Otto. 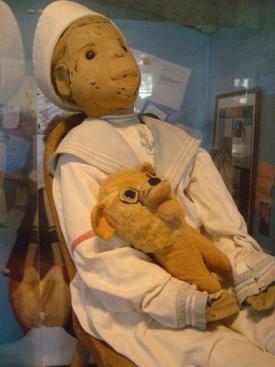 Eugene was given the doll in 1904 by a servant who, according to legend, was skilled in black magic and voodoo and was displeased with the family. Soon afterward it became clear that there was something eerie about the doll. Eugene's parents said they often heard him talking to the doll and that the doll appeared to be talking back. Although at first they assumed that Eugene was simply answering himself in a changed voice, they later believed that the doll was actually speaking.